These are books I have found helpful. They are simply in chronological order by comment. Both of these books discuss the role of death and suffering in the world and the challenge that this brings to various interpretations of Genesis, and especially the first three chapters. In fact, the central issue surrounds the meaning of God’s statement at the end of creation that it was ‘very good’. The writers consider whether it is reasonable, and theologically and exegetically defensible, to suggest that a world so described could have included suffering and death before the Fall. There is, thus, an overlap in concerns in the books and they both deal with the issues from a similar perspective, arguing that the biblical evidence does not demand, that all suffering and death in the animal kingdom came about as a result of the Fall, indeed it suggests the opposite. While there is this overlap, the two books have different emphases which probably reflect the different backgrounds of the writers: Whorton is a scientist and Osborn a political scientist. 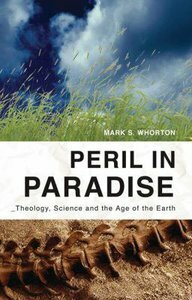 Whorton’s opening chapter is entitled ‘The Battle Lines Are Drawn’, a title which neatly sums up the division that exists between the two sides on the ‘creation-evolution’ debate – or more correctly between the young earth and old earth positions. On the one hand there are those who insist that the only faithful way to interpret Genesis 1 is a literalistic one and to suggest that the earth is more than 6-10,000 years old is not only to deny the account in Genesis but begins to eat away at the very foundation of all Christian belief. I suspect that neither of these books will necessarily persuade those who hold opposing views, but they are both worth reading. Osborn’s declines on a few occasions into polemic, but on the whole the tone of both is irenic. That is not to say that they shy away from the tough issues and the specific – and important – points of debate–they do not. One area in Osborn’s book I found less than convincing was his discussion on the relationship between creation and kenosis. Both books serve a purpose in presenting a reading of Scripture which moves away from the rigid division between evolutionary theory and creationism, a division which seems to be self-serving for both sides of that particular argument. Instead they offer some carefully argued exegesis and theological discussion on the whole issue of theodicy which is thought-provoking and they help in giving a biblical and theological basis for evangelical Christians to not have to believe in a young earth. It’s not often that reading a book makes me think of Marmite–but this one certainly did. Readers will probably either love it or loathe it. 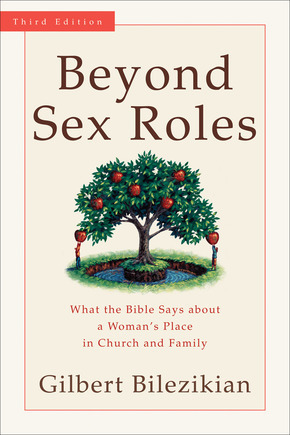 In the third edition of his book (originally published in 1985) Gilbert Bilezikian tackles the whole question of the place of women in the church and the family. His starting point is a creation-fall-redemption model for understanding scripture, not in itself controversial and a helpful one in this instance, I think. Despite coming from the Academic side of Baker’s publishing the book is aimed at a general audience with many of the exegetical and other issues discussed in lengthy endnotes. Bilezikian’s basic premise is that the Bible teaches equality between the sexes as the situation pertaining to pre-Fall creation and to the new creation as manifested in the church. Much of his argument is aimed at disproving any notion of ‘hierarchy’ in male-female relationships and he does this (especially in the notes) by engaging at some length with a book written from a very different viewpoint, Man and Woman in Biblical Perspective by James Hurley (1981, Leicester: IVP, reprinted by Wipf & Stock, 2002). If you have read the Hurley book, the notes will make more sense; but reading it is not necessary to understand and follow Bilezikian’s thoughts. Much of Bilezikian’s argument is persuasive, especially his exegesis of Genesis 1-3 and comments on the pre-Fall relationship between man and woman and how the post-Fall situation was different. His exegesis of the ‘problem’ passages in Paul, especially 1 Corinthians, is very helpful; though some of his comments around the situation in Ephesus at the time of Paul’s writing to Timothy are less than totally convincing. Part of the issue I have with the book is the polemic nature of his argument. Bilezikian’s tone suggests that anyone who disagrees with him must be, not only wrong, but probably deliberately and bloody-mindedly so. Some of his exegetical statements appear sweeping, such as his contention that ‘kephale’ (head) never has the meaning of authority in the NT. It seems unnecessary to make such a statement; in order to prove his contention in 1 Corinthians that it means ‘source’ he surely only has to do it in that context without the generalisation which may or may not be true. His criticism of Hurley for glossing over statements or passages which do not fit with his thesis rings a little hollow when in his discussion of Priscilla as author of Hebrews he omits to mention the use of diegomenon (masculine singular) to refer to the writer in Hebrews 11:32. Having said all of that, the book raises a number of issues and gives some interesting answers and is deserving of careful attention. There are few passages of scripture which engender so much debate as the first few chapters of Genesis. Unfortunately, much of the debate seems to create more heat than light, with entrenched positions merely being repeated and backed up by reference to other works from within those same hermeneutical trenches. This recent book seeks to bring some of that much-needed light to the debate on how Genesis 1 and 2 can, and perhaps should, be interpreted. 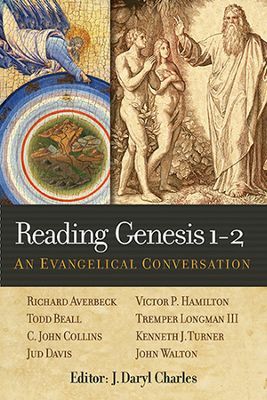 The book is the fruit of a symposium on interpreting Genesis and is an extremely valuable contribution to the debate amongst evangelicals on the nature and meaning of these foundational chapters. The book allows scholars from five different hermeneutical perspectives, who all hold to a high view of scripture, to present their positions, which are then critiqued by the other writers. It is a format that has been used successfully before, and is so used on this occasion. Despite the passion with which each writer holds their views, the debate is overwhelmingly irenic with only short passages that deteriorate into polemic. The open and frank exchange of views was refreshing and, along with the clear presentation of each of the positions, it has encouraged me to go back to the text and consider it anew. The writers involved include some of the leading Old Testament scholars of our age and the depth and breadth of scholarship displayed is exciting but never overwhelming. On occasions, the discussion of some of the details of Hebrew syntax and grammar – especially when this is a pivotal area of disagreement in interpretation – can be confusing rather than enlightening for those of us without the same knowledge of the language. However, these times are rare and should not discourage anyone without a knowledge of Hebrew from reading the book. The final chapter raises issues to do with Genesis 1 and 2 that include New Testament use of the passages and encourages us all to engage with trying to answer some of the important questions that arise from our interpretation of them. But for me, as a lecturer in a Bible College who is soon to teach our second year class on Genesis 1-11, and will be launching a series on Genesis in my local church in the New Year, the discussion has proved immensely useful. Perhaps especially chapter 6 which tackles how we can teach these chapters in such a way that the reliability and authority of scripture is maintained and emphasised while still dealing with the honest, thoughtful and scholarly differences in interpretation that there are amongst fellow evangelicals. 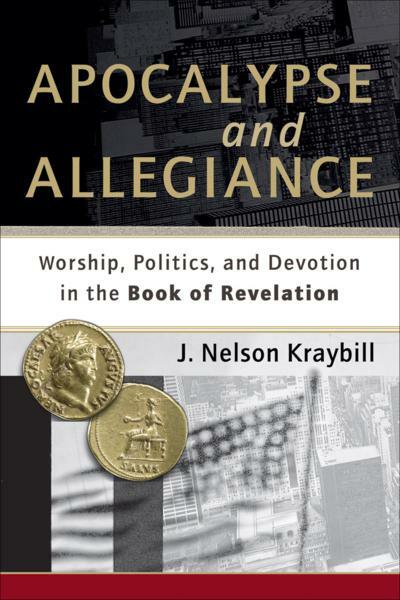 “Worship becomes the central means by which God orients individuals and congregations towards God’s future.” This is part of Nelson Kraybill’s conclusion as to the message of Revelation as a call to undivided allegiance to the Lamb. In a very readable book, Kraybill grounds his exposition firmly in the first century world and reveals something of the religious, social, political and economic realities of seeking to be God’s people in God’s world during the Roman Empire. But he doesn’t leave the book there, he draws relevant conclusions for today’s church (albeit within a US context) challenging us to consider where our allegiances lie–with the Lamb or the Beast. This choice is clearly demonstrated through the use of pictures of first century coins, temples and other artefacts and the contemporary power of imagery both inside and outside the church is discussed. While some may find his description of Emperor worship as a ‘model’ for the worship portrayed around the throne of God, to be a little overdone, there is no doubt that his portrayal is a thought-provoking one. One helpful aspect of the book is the selection of questions for reflection which end each chapter and the use of stories from various times in Christian history to illustrate the main points of each of the chapters. In Kraybill’s reading of Revelation, the continuing challenge of what it means to truly worship the Lamb is sharply presented. It challenges us to consider how we can not only orient ourselves towards God’s future, but to see how something of the reality of that future can be manifested now. In a companion volume to ‘We Proclaim the Word of Life‘ which I commented on below, a number of Old Testament scholars and preachers have contributed essays on preaching the Old Testament story. 78% of the Bible is in the OT but it is, in very many ways, a neglected section – especially in preaching. There are helpful chapters, especially if you have never studied literature to any degree, on the importance of both plot and character in narrative and how to use these as ways into texts. The chapter by Ernest Lucas on preaching apocalyptic literature is very helpful, and worth looking at when preaching from Revelation. Daniel Block’s treatment of Ezekiel is especially helpful. It is detailed and deals with seven basic propositions that are necessary for anyone wishing to repack from one of the most fascinating – but least understood – books in the Bible. Gordon Wenham has a chapter on preaching from difficult texts in the OT where he considers some of the issues surround the law of talion, violence and the first 11 chapters of Genesis amongst others. As always, his comments are lucid and encouraging showing again his depth of scholarship along with the desire for the Bible to be well communicated from the pulpit. 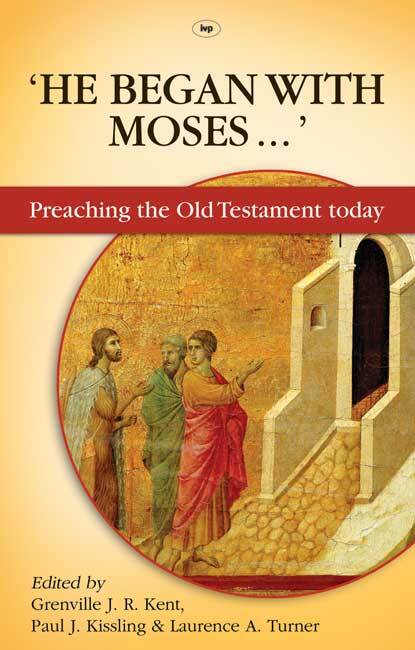 The final chapter in the book is, fittingly for a book which takes Jesus’ words to the disciples on the way to Emmaus as its title, on preaching Christ from the Old Testament by R. W. L. Moberly. This is a thought-provoking chapter which reminds those of us who preach that we have to see the OT through the ‘lens’ of the life of Christ if we wish to make our preaching both true to Scripture and relevant to our hearers. This recent book edited by two excellent NT scholars (Ian Paul and David Wenham) tackles issues surrounding how we preach the NT today. The introduction is helpful in setting the scene and raising some of the challenges of preaching while positively affirming the importance and need for good exposition of the NT texts. I haven’t yet read though the whole volume but looked at two of the essays it contains: that on the general epistles, and that on Revelation (as I am teaching or preaching from 1 Peter and Revelation in the near future). Both of these essays give helpful pointers to how to preach from the texts without getting bogged down in too many details concerning authorship, historical context etc. The commentaries cover these issues in detail and should be the first port of call for such discussions. These essays are more ‘practical’ and useful for those of us who are engaged in the task of preaching. In tackling the seven catholic letters in one essay, Mariam Kamell had a difficult task and so her treatment of each letter is, necessarily, somewhat brief. However, the general comments she makes are very helpful and remind us that we have a responsibility to preach these letters as much as we have to preach those of Paul – which have in evangelical circles received a much higher profile. Ian Paul’s discussion on Revelation owes much to his writing elsewhere, especially his extremely helpful Grove booklet. However, one section he adds is on possible preaching series on Revelation, recognising that a ‘traditional’ verse-by-verse exposition is probably not the best way to deal with this fascinating book. Having read these two chapters, I am looking forward to reading the rest – as time allows!! !